The Antlion Trench Murder Case was originally serialized in Weekly Shônen Magazine and collected in volumes 5-6 of Kindaichi Shounen no Jikenbo R (The File of Young Kindaichi Returns), which Ho-Ling Wong described as having one of "the most ridiculous designed building" in the entire series – a research facility in the middle of a desert-like field of quicksand. This case is not considered to be a high-note in the series, but wanted to know how this bizarre and ridiculous architectural marvel was put to use in service of the plot. It certainly was odd, I'll tell you that much. An old acquaintance and freelance journalist, Yosuke Itsuki, invited Hajime Kindaichi and Miyuki Nanase to participate in a three-day psychological experiment as a way to make a little bit of pocket money. The experiment is conducted by Professor Maeda Junki, of Saitou University, who has a former military base at his disposal. A facility commonly known as Antlion Trench, situated on the outskirts of a small desert, where captured soldiers were imprisoned during the war and escaping is next to impossible, because the base is surrounded by dangerous patches of quicksand – which can only be navigated by following a roped pathway. 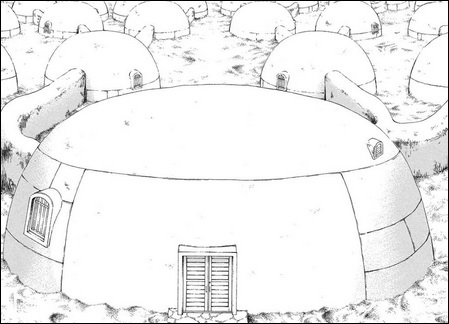 Antlion Trench is a cluster of pod-like buildings linked together by long, snaking corridors and (locked) doors. All of the participants are locked inside this facility for three days and have to wear differently colored kimonos, which represent their inner trauma or desire. A wristband with a body sensor-and radio device will record all of their vital signs, which are send to the professor's laptop. So they're under constant observation during those three days. And cell phones aren't allowed! As to be expected, two of the participants are murdered and here the outlandish, maze-like layout of the structure begins to work against both Kindaichi and the reader. First of all, getting to the first victim proved to be an obstacle course, because they're constantly confronted by locked doors and dead-ends in a place where every room and corridor looks practically the same – making it very confusing to follow everyone's movement. Something that's not entirely unimportant to the solution. However, this is not a locked room mystery in the traditional sense. The murders appear to be baffling and incredibly hard to have carried out, but they're not, strictly speaking, impossible crimes. 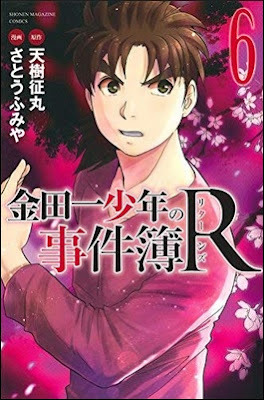 Unfortunately, the explanation to the murders reworked on of my favorite Kindaichi stories by pumping it full of steroids, because The Antlion Trench Murder Case is pumped-up version of that particular story. Just not as good or particularly well executed. Another thing I have began to notice is that The File of Young Kindaichi Return series uses "The Puppeteer of Hell," Yoichi Takato, as a convenient plot-device to justify the more fantastic aspects of the plot by simply pointing at him and saying, "it was all his idea." And if you lean on that too much, you run the danger of creating something completely incomprehensible. Something this story was (at times) dangerously close to becoming. Hell's Puppeteer is a great character and a perfect foil to Kindaichi, but this is not the best way to use him. So the mechanics of the crimes were less than perfect and the movement of the various characters through the maze-like building was confusing at times, but it made for an oddly interesting detective story – especially when you add the psychological angle and wristbands to the overall picture. There were one or two good clues hidden in them that pointed to the murderer. One clue particular gives immediately identifies the murderer, if you're able to spot it. As usually, the age-old revenge motive is dragged out, which is used in nearly every volume of this series, but this back-story was an interesting one. And it's baffling that culprits of this crime saw their action as a prank gone wrong. It was as close to (unintended) murder (manslaughter?) as you can possibly get. Just like my previous read in this series, The Antlion Trench Murder Case had an intriguing premise and bizarre backdrop, but everything else was par of the course for the series. And part of the plot reworked a previous and much better story. So this was not one of Kindaichi's all-time greatest cases, but neither was it his worst. Just a very middling title in the series. Well, I guess I'll return to Case Closed or Q.E.D. for my next mystery manga. 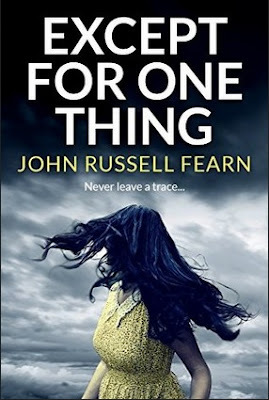 There are prolific writers and then you have John Russell Fearn. An astoundingly productive genre writer with a fertile imagination, producing science-fiction, westerns and detective stories at a rapid rate, who frequently contributed to some of the well-known periodicals of his day – such as the Toronto Star Weekly, Amazing Stories and Astounding Stories. A vast amount of Fearn's novels and short stories was published under an army of pennames he had at his disposal. Nearly fifty in total! Over the past three years, I have reviewed more than twenty of his detective novels and short stories. And they fall in a number of sub-categories of the genre: impossible crime tales (The Five Matchboxes, 1948), pulp-thrillers (Account Settled, 1949), a detective western (Ghost Canyon, 1950), science-fiction mysteries (The Master Must Die, 1953), regular crime novels (Lonely Road Murder, 1954) and a short story collection of juvenile detective stories (The Haunted Gallery, 2011). So I decided it was finally time to compile a list of the five best mystery novels from my favorite second-stringer. The entries are ordered chronologically. Thy Arm Alone (1947) is a normally-looking, apparently dime-a-dozen village mystery novels revolving around "the belle of the village," Betty Shapely, who has three principle admirers and she loves to pit "one against the other" with complete disregard for their feelings – which makes it hardly surprising when one of them is found inside the wreck of a burning car. What makes this novel stand out is its audacious, one-of-a-kind solution. A "once in a lifetime" opportunity the culprit immediately pounced upon and this gave the book a most satisfying conclusion. My fellow locked room fanboy, "JJ" of The Invisible Event, "really did not like this book" and called it "a shunpike on the roads of detective fiction." It goes without saying that he's wrong, but wanted to include his review here as a contrast because Thy Arm Alone is one of those stories that will divide opinion almost right down to the middle (i.e. are you willing to overlook flaws in the story-telling in exchange for genuine originality?). The book is still in print. So you can decide for yourself. Except for One Thing (1947) is a splendid inverted mystery novel, à la Columbo, pitting Chief Inspector Mortimer Garth of Scotland Yard against a wealthy and distinguished research chemist, Richard Harvey, who had been engaged in secret to Valerie Hadfield – a beautiful, blonde actress with an icy heart. Harvey has come to regret his decision, but Hadfield refuses to take her heart balm and is determined to make him her trophy husband. So he's left with only one alternative. Valerie Hadfield inexplicably disappears and a cat-and-mouse game between Garth and Harvey ensues reminiscent of the best Columbo episodes. However, Fearn saved his best for last and came up with a shocking, but devilishly ingenious, explanation as to how Harvey disposed of the body. A clever and inventive plot written as an inverted mystery with a classic cat-and-mouse game between detective and murderer. 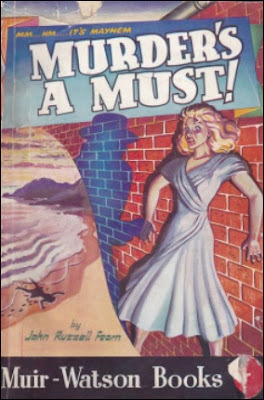 Death in Silhouette (1950) is a locked room puzzle with a two-pronged solution and the last novel of the Miss Maria Black series, in which one of her former students invites her to an engagement party. But when she arrived, the groom-to-be was found dangling from a rope in the cellar with the door locked from the inside. A classic locked room situation with two explanations, a simplistic and a complex one, which play out at the same time. You have to read for yourself how this is handled, but Fearn has to be complimented for revitalizing a simplistic, shop-worn old trick. A locked room trick complimented by the more intricate and involved plot on which it intervered. And this second locked room trick uses a pulp magazine as a clue! 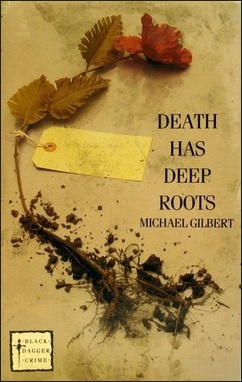 A second aspect about Death in Silhouette that has to be pointed out is that the story takes place in a working class family populated with ordinary people. This gives the book a very different atmosphere than you would expect from a detective story with an engagement/wedding-theme. Flashpoint (1950) introduced one of Fearn's most iconic series-detectives, Dr. Hiram Carruthers, who resembles "the traditional bust of Beethoven" and "a sort of general specialist" often consulted by Scotland Yard on crimes of a scientific nature – comparable to the many series-characters created by Arthur Porges. Dr. Hiram Carruthers' first recorded case takes place in his backyard, Halingford, where a fishmonger's shop explodes. The shop owner is killed in the explosion and Dr. Carruthers is asked to help the police explain this apparently impossible explosion. And this is not the only miraculous explosion or fire in the book. This is very mature novel, for Fearn, with better than average characterization and a murderer who's more difficult to spot than usually, but particularly memorable for the gruesome motive for the destruction of the fishmonger's shop. A cruel, cold-hearted crime, if there ever was one, worthy of a judicial hanging. Pattern of Murder (2006) is an inverted mystery novel, like Except for One Thing, which can only be described as the finest detective story Fearn ever crafted, but inexplicable remained unpublished until twelve years ago. Fearn drew from his first-hand experience as "an inveterate cinema goer" and briefly worked as chief projectionist during the Second World War. 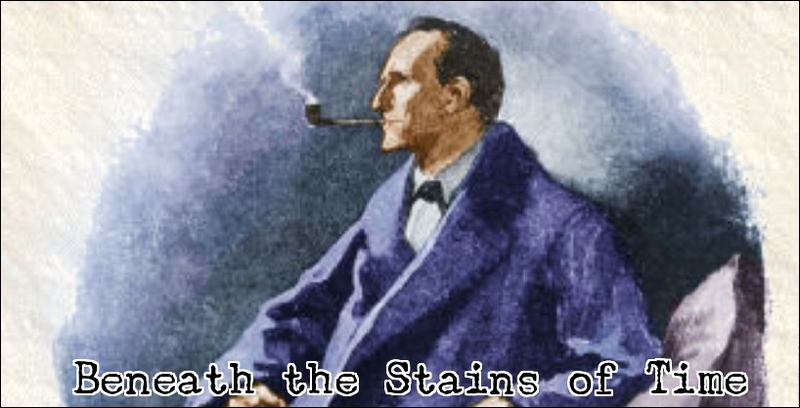 So the background of the story feels authentic, but even better is the plot that is, as John Norris aptly described it, a fascinating "mix of traditional and inverted detective novel plot techniques" with an original murder method – resulting in an unheralded classic of the genre. And that murder method is an impossible crime tailor made for a cinema setting. Terry Lomond is the chief projectionist of the Cosy Cinema and has a two-hundred pound debt to a horse-racing bookie, which is why he stages a burglary at the cinema, but is practically caught in the act by one of the usherettes. This was the first step on a road of no return. Terry is slowly brought to the decision he has to kill this pesky witness to unsure his own safety. The murder Terry puts together is a technical achievement and unintended left a gem of a clue: pattern of beautiful circles, whirligigs and crescents in the dust. This book stands with head and shoulders above every other title on the list. Fearn may have been a second-string mystery novelist, but here he briefly played first string. Highly recommended! Lastly, I have to give the previously mentioned The Five Matchboxes an honorary mention, because I think skeptical readers of Fearn, like JJ, will be able to appreciate it. The Five Matchboxes is an obvious homage to Fearn's favorite mystery writer, John Dickson Carr, but the story personally reminded me more of Paul Halter. The solution to the locked room shooting of Granville Collins is pure Carr, while the link to a fifteen-year-old murder case, known as The Clothes Cupboard Mystery, is something you typically find in a Halter novel. In any case, the result is something fans of Carr and Halter can enjoy. Even if it isn't a top-drawer locked room mystery. So here we are again. A year has gone by since my last annual round-up and the blog has undergone one notable change during that time: I dispensed with the confusing blog-titles and opening quotes, which used to be only tangibly related to the book or short story being reviewed – a decision that has saved me a lot of time. I no longer have to feverishly rummage through my bookshelves or trawl the web for fitting opening quotes. Around the same time, I was toying with the idea to rename the blog "Path of Logic," but decided against it and keep everything as it is for the foreseeable future. My best-of list this year consists of the following categories: the best and worst mystery novels read in 2018, a split section for the best short stories (singles and collections) and my favorite locked rooms of the year. Yes, just like in every other year, the locked room and impossible crime story dominate the list. Christopher Bush has four novels listed and could have been more, but decided to cut out a couple of them. And he has one novel mentioned in the worst-of column. The non-English mysteries (French, Norwegian and Japanese) are well represented here. The only real surprise this year? A severe and shocking lack of John Dickson Carr! He's represented here by a single short story. I'll have to penance and rectify this gross oversight in 2019. Enough padding for one filler-post. Let's take down this list from the top. An early work of the Japanese shin honkaku movement, but distinguishes itself by being a comedic locked room mystery in the spirit of Leo Bruce's Case for Three Detectives (1936). Here we have two baffling arrow murders inside a mansion shaped like the number 8 interspersed with comedy bits at the expense of one of the policeman. A funny, clever and, above all, an enjoyable read. A highly amusing, solidly plotted juvenile mystery novel, in which Jupe, Pete and Bob have to crack a six-part coded riddle in order to find the treasure of the titular dead man, Marcus "Dingo" Towne. They're frustrated in their efforts by their long-time nemesis, "Skinny" Norris, but find an unexpected alley in Dingo's eight-year-old grandson, Billy, who wants to be detective – who even dons the cape and deerstalker. I should also return to The Three Investigators more often in 2019. This entry on the list constitutes the biggest and most pleasant surprise of 2018! A juvenile detective novel concerning a rash of apparently impossible burglaries in an otherwise quiet, charming village, but what makes the story standout is the crystalline plot and fair play – complete with clues, red herrings and red herrings that become clues once you know they're red herrings. A gem from the juvenile corner of the genre! The novel that introduced the wonderful Reverend Ebenezer Buckle and the second best title from this lamentably short-lived series, in which Maurice Mostyn is murdered during a house party with an uncomfortable cast of house guests. A splendidly clued detective novel, complete with a chapter entitled "A Study in Clues," but what really impressed was the daring choice of murderer. Something that could easily have ruined the whole story. So it says something about Brady that he made it work. A delightfully Carrian mystery novel and one of Bush's rare, full-blown impossible crime stories. An elderly, penny-pinching man is shot to death in the middle of his living room, while surrounded by his relatives, but nobody saw the person who fired the shot. A delightfully complex and knotty detective story. A textbook example of Bush's minutely-timed, clockwork plots with one of his trademark alibi-tricks, but framed in what is one of his darkest stories and deals with the murder of a sadistic child abuser, Quentin Trowte – who (mentally) abused his 10-year-old granddaughter. I can only think of a handful of murder victims, in detective fiction, who deserved to be knifed more than Trowte. The first in a trilogy of wartime mysteries and actually wanted to pick The Case of the Kidnapped Colonel (1942), but settled on The Case of the Murdered Major because it had stronger, better worked out wartime setting – namely a POW camp. Captain Ludovic Travers is appointed as the Adjutant Quartermaster of No. 54 Prisoner of War camp, but, once again, has to play detective when the unpopular major is murdered. As always, there's an excellent alibi-trick hidden in the plot. Ludovic Travers is summoned to the home of a celebrated mystery writer, Austin Chaice, who want to use his book, Kensington Gore, as a reference source for a writing manual he's working on, but Travers has to play amateur criminologist once more when Chaice is murdered. A pure, puzzle-driven detective story with the delightful destruction of several risky, closely-timed alibis. A wheelchair-bound ex-homicide detective, Justine Carmichael, gets involved with his former colleagues when the owner of a private, second-rate art gallery is brutally murdered and a painting disappears from the vault. The book-title is a shining example of truth in advertising. The first of a series of three novels and precursor to the acclaimed Ken Holt book by "Bruce Campbell," a shared penname of Sam and Beryl Epstein, who used here the name "Martin Colt" for a short-lived series about two brothers, Roger and Bill Baxter. They live in a tiny, out-of-the-way seaside town and, one summer, they're swept up in an exciting adventure when a suspicious-looking stranger rents their cottage. A charming and intelligent written example of the juvenile corner of the genre with very believable child-characters. The first recorded case of one of Fearn's flagship detective-characters, Dr. Hiram Carruthers, who investigates the destruction of a fishmonger's shop and several fires that were started in empty, locked places. A first-class mystery novel by my favorite second-stringer. An excellent treatment of the courtroom drama with a plot somewhat reminiscent of Anthony Berkeley's Jumping Jenny (1933) and Joan Fleming's Polly Put the Kettle On (1952): Viola Ross is standing trial for the murder of her husband, Teddy Ross, but one holdout among the jurors is determined to prove her innocence. A cunningly cut gem from the Golden Age that had me fooled. A truly magical, fairy tale-like mystery novel that tells the story of a young woman who can become invisible, turn stones into gold and can predict the future and there's a lonely, clifftop house – where the wind kills people. One of my favorite Paul Halter novels to date! The plot of this one is hard to describe and condense in a short, capsule-like review, but this is a good example of the semi-inverted mystery with a twist with the added bonus of presenting an amusing picture of an advertising agency. A good and fun read! A rural example of the Van Dine School of Detective Fiction: Steven Steele, the Philo Vance of the Great Plains, helps the police with finding answers to the baffling questions surrounding the murder of prominent Wichita oil operator. A well written and characterized detective novel with a tight plot and a beautiful backdrop. And the story memorably depicted a deadly oil well explosion. A highly original historical mystery novel, set in 1879, praised by John Dickson Carr for its authentic depiction of the Victorian era and its people, which takes place during a six day Go-As-You-Please contest – en endurance test for the Proven Pedestrian also known as Wobbles. A great example of how good the historical detective story can be in the right hands. As to be expected from Rhode, this is a pure, plot-oriented detective novel with an impossible murder at the heart of the plot. Jimmy Waghorn and Dr. Priestley have to figure out who bludgeoned Robert Fransham to death in a locked cloakroom with a second murder demonstrating Rhode's technical ingenuity when it came to snuffing people out. A comedic mystery in which Jake Justus and Helene Brand try to tie the knot, but they're too busy dragging bodies around the place and running from the police. Luckily, the infamous criminal lawyer, John J. Malone, is close at hand to smooth everything out. Nobody did the madcap chase mystery better than Rice. I can only describe this story as a sultry premonition of the coming Golden Age, but has only recently been translated from Norwegian and is well worth a read. This entry used to be one of the more rare, hard-to-get and expensive detective novels on the secondhand book market, but Coachwhip republished the entire Inspector Norton Kane series in 2017. A series comprising of five mystery novels and this one is undoubtedly the best. A grand-old mansion is divided between two brothers who are not on the best of terms, but, when they begin to reconcile, the house becomes to the scene of two baffling murders – one of these murders is committed under impossible circumstances in a closed, moving elevator. 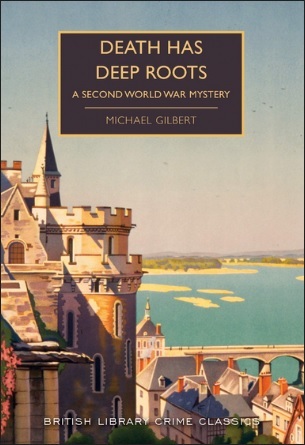 A long-lost gem recommended to everyone who loves old-fashioned, puzzle-focused detective fiction. Read it! A splendid detective novel that takes place in a modern villa, constructed on top of a 16th century Portuguese fortress, on Apostle Island. A holidaying mystery writer, Quentin Seal, solves two very peculiar murders there. And the second murder would definitely have raised some eyebrows when the book was first published. Charles Venables is dispatched, as an emissary, to the fictitious Balkan kingdom of Iconia to help the ruling dynesty, the Herzvogins, lay a family curse to rest, but his presence is unable to prevent the death of Queen Hanna – who's murdered in closely guarded Royal bedchamber. An excellent, solidly plotted detective story with a realistic take on the Ruritanian romance. A suspenseful, turn-of-the-century style damsel-in-distress yarn updated to the plotting standards of the genre's Golden Age and even has an inexplicable poisoning during a séance. A volume comprising of two novellas, "Not Quite Dead Enough" and "Booby Trap," which are, in my opinion, two of the best stories this series has to offer. Stout rarely wrote, or plotted, them better than these two absolute gems! Admittedly, this one is, plot-wise, one of the weaker titles on this list, but, in spite of its imperfections, this was a good and fascinating detective novel about the impossible poisoning of a champion boxer during a world-title match. Inspector Gordon Knollis of Scotland travels down to the village of Trentingham to help the local Chief Constable with the brutal murders of two pets, a bird and a cat, who belonged to the wife of a rich, unscrupulous and despised furniture magnate, Fred Manchester – who's murdered shortly after Knollis arrived. What ensues is a marvelous example of the Golden Age mystery and the plot has an intriguing plot-thread about a possibly murdered hangman. An absolutely honey of a detective story that begins when a body is discovered in a disused well in the garden of an abandoned cottage. The plot buzzes with bee-themed clues, red herrings and lore. A landmark novel of the Japanese detective genre and has one of the country's most iconic detective-characters, Kosuke Kindaichi, solving a series of utterly bizarre murders at the lakeside villa of an influential silk family. A classic detective story if there ever was one! - "The Problem of the Leather Man"
- "The Problem of the Phantom Parlor"
- "The Problem of the Crowded Cemetery"
- "The Problem of the Miraculous Jar"
- "The Problem of the Enchanted Terrace"
- "The African Fish Mystery"
- "The Japanese Card Mystery"
- "The Zanzibar Shirt Mystery"
- "The Philippine Key Mystery"
- "The Case of the Shakespearaan Super-Chimp"
- "The Case of the Shocking Science Quarterly"
- "I Was the Kid With the Drum"
Kendell Foster Crossen's "The Closed Door"
Carter Dickson's "Persons or Things Unknown"
Anna van Doorn "The House That Brought Bad Luck"
Barry Ergang "The Play of Light and Shadow"
Randell Garrett's "A Stretch of the Imagination"
Paul Halter's "The Robber's Grave"
I had to cut a lot of Bush's mystery novels from my best-of section, because otherwise he would have utterly dominated this years list. So, in order to balance everything out, I'll add the only Bush that has so far disappointed me. A poor and utterly disappointing treatment of the Golden Age serial-killer story with a treat-bare plot. A complete dud. As a detective story, this one began promising and had potential, but Mavity wanted to have her cake and eat it, but left a messy and disappointing story behind. And one that doesn't play particularly fair either. A rare, hard-to-get title that has often been praised by those who managed to get their hands on a copy, but nothing about it impressed me. Not the story-telling, plot or characters. Discovering this was a middle-of-the-road title in the series was a letdown to say the least. My love for the impossible crime tale is well documented on this blog with more than 400 blog-posts tagged with the "Locked Room Mysteries" label. 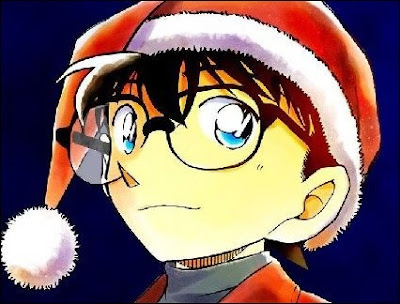 Predictably, I have read quite a few locked room stories this year, but my two favorites came from the Detective Conan anime series. The Cursed Mask Laughs Coldy has a standard locked room premise, but the ingenious solution is startlingly original and has to be seen to be believed. The Case of the Séance Double Locked Room has a pair of cleverly contrived, ingeniously linked impossible murders. I consider these two episodes to be classics of the locked room detective story.